Need help spreading the word about your online business? Enlisting the help of established influencers is a really smart idea. 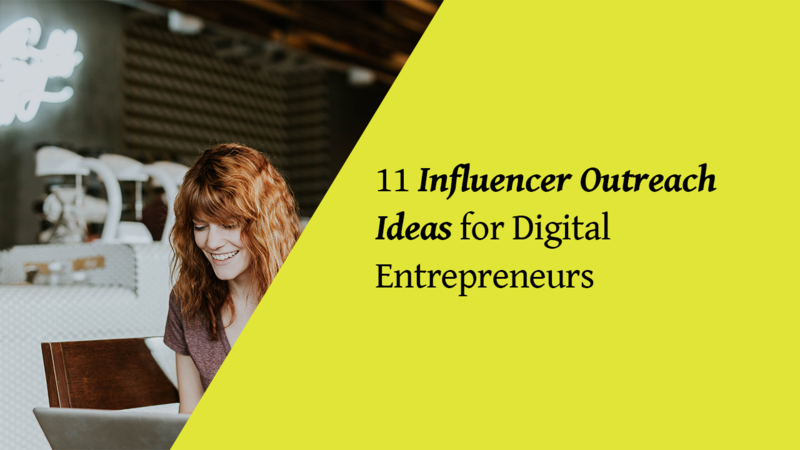 In this post, we’ll share 11 influencer outreach ideas for digital entrepreneurs. Getting the word out about your online business can be difficult, especially with the ever-growing competition. On the other hand, no one has ever heard of you. But that’s OK. We are going to rectify that right now! In this post, we’ll share exactly how you can enlist the help of influencers as a means to spread the word about your brand, product, and unique value. Your influencers don’t need a celebrity status in order to work effectively for your needs. Micro-influencers are cheaper, easier to find and most importantly – more motivated to succeed. These small influencers are capable of influencing their local communities, online followings as well as anyone that follows their blog or social media. One of the best examples of this practice is Glossier, a makeup company that introduced its own micro-influencer program. Their idea is to treat every customer as an influencer, without actually hiring anyone full-time. What Glossier did is introduce a one-of-a-kind loyalty program for their recurring customers. They often use these customers as a means to promote new products or create buzz about upcoming events and sales. Sending freebies or free products altogether might not seem like a viable financial strategy. However, in Glossier’s case it turned out to be the smart move. The reason for this is simple – people that get treated nicely always have nice things to say about you. The resulting success changed the way Glossier operates as it influenced their own product lineup and expanded their offering multiple times over. Adapting a similar philosophy may be a viable solution for international brands that want to use influencers in a more indirect way. 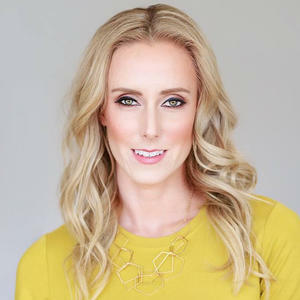 Micro-influencers always use their personal outreach ideas to contact potential customers, so delegating the entire process for a start might be a good solution. While it is logical to be present on every online social platform, it can’t be done in practice. Following a content schedule and paying close attention to multiple social media platforms equally will always cost you something in return. Choose the platform you want to focus on before finding influencers for your brand. For example, Facebook gives brands large control over their influencer marketing campaigns (while making ad revenue from their actions). You should always choose the platform (or more) that your target audience is likely to frequent. If all else fails, you can always turn to YouTube as a viable solution. There are numerous famous content creators that would be more than willing to promote your brand for some incentive in return. This also might be the best way to approach younger generations if they are one of your main stakeholders. Once you settle for the platform of your choosing, start looking for influencers that specialize in that particular service. Digital entrepreneurs and online businesses in general have the benefit of having digital goods that they can showcase, promote and demonstrate. Giving your influencers the ability to demo your products and services for their platform’s followers is a great way to create an outreach and buzz around your brand. Depending on the size of your business, your target audience and outreach, you might want to consider using multiple influencers. The more influencers you have, the bigger your impact will be when outreach is concerned. As Neil Patel put it: building a team of influencers can greatly help your business grow in popularity. This industry expert explained that a team of well-briefed influencers with their respective followings can make a greater impact on the audience than they would individually. While influencer collaboration is nothing new, this technique enables you to brief and equip multiple influencers before starting your marketing campaign. That way, each of them will start working at the same time and take their followers by the storm. Set goals and milestones – Be clear as to what you are trying to accomplish by hiring a team of influencers. Create an influencer profile – Put several key skills on paper and look for these traits in each of your candidates. Post your project brief –Use your website to attract influencers or send the brief to several potential influencers you have in mind. Make sure to annunciate the importance of teamwork for the duration of the project. Talk to your influencers – Once you have several influencers hired, create a live meeting via Skype or some other platform. Talk to all of them as a group and make sure that they talk to each other during the meeting. Make it clear that they would be reporting to you individually but working together during their work hours. Showcase and learn – Some influencers will be more efficient than others. Don’t punish the detractors. Instead, try to teach them the techniques by introducing a coaching system to the team. Make the team learn from each other’s successes and mistakes for maximum efficiency. An effective and quick influencer outreach method is great for large enterprises that can support a bigger-than-average response from their customers. Chances are that your influencers will do a great job promoting your brand, so make sure you are ready to accept any traffic and business that comes your way as a result. Clear goals and milestones are usually what set average campaigns apart from the amazing ones. What is it that you are trying to accomplish by hiring influencers and having them perform outreach? What are your goals and key performance indicators (KPIs)? What is your target outreach? How many people do you want to reach with your brand? What are your deadlines and check-in dates? These are important for assessing the current progress of your campaign. How do you measure your influencers’ success? Is it in sold products, email subscriptions or something third? This is the most important aspect of your measurable goals. How much revenue do you need to make as a result of your investment into influencer outreach? Think of it as your RoI indicator. Once you have clear goals in mind, it will be much easier to point your influencers in the right direction. While working without clear instructions may be possible, it is far too risky for your brand as well as your influencers’ reputation. Their own careers hinge on the brands they promote as well – make sure to take that into account. Whether you are a graphic design agency or an e-commerce storefront, you have a plethora of products and services to showcase. Influencers are often wary of accepting any deals that might not coincide with their primary occupation. This means that book aficionados will likely team up with a digital site such as Book Depository but might be apprehensive of working with Etsy. A good example of a showcase email is National Geographic’s “The Perfect Gift for Dad”. The company used this email to promote its long history and good standing with the readers across the world. It cut straight to the point and didn’t waste time in showcasing (pun intended) the informative and historic importance of its brand. Showcase emails are a great way to clear the air and directly inform your potential influencers of who you are and what you do – this is what we usually call cold emails. 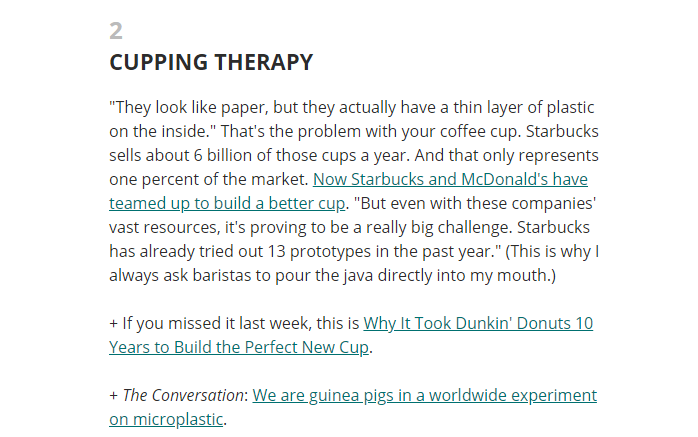 Another fine example of showcase emails can be found in Next Draft. This is a website that essentially “showcases” the most important news of the internet for that day directly in your email inbox. Every facet of Next Draft oozes with copywriting expertise and efficient calls to action. It is managed by a single individual and can be used as an ongoing source of inspiration for creating effective showcase emails. These emails can contain simple sales pitches, coupled with custom-made portfolios of your current products, services and past achievements. You can bookend this message with a call to action that will humbly ask the influencer for his or her help in working with you.Using the word “promote us” might not be a good idea though – influencers prefer “cooperation” and “mutual interest”. If you ask someone to promote you, it sounds one-sided and benefits only you without taking the other person into account. These showcase emails can be sent out to prominent influencers in your industry as well as any content creator willing to work with you. Remember that several smaller influencers can and will do a better job than a single big one – it’s all about the bigger picture. While it may sound counter-intuitive, it really isn’t when you think about it. Playing hard-to-get with your future influencer shows them that you have some integrity and professionalism as a company. Accepting any and all influencers to work for you isn’t a smart idea. Even when an influencer responds to your email or other form of outreach, make sure to count to ten before answering their messages. In essence, you are negotiating with someone to represent your brand and promote your products and services to their follower base. The way they go about it will determine whether or not your client base will grow. Do proper research on every influencer that responds to your call or approaches you on their own accord. Look for any reviews, testimonials or red flags that might indicate that they are not a good choice for you. It’s often better to pass on a tempting deal than to be burned and suffer the consequences of bad PR as a result. Maintain your brand’s integrity and don’t be easy to land a deal with. Once you establish such a reputation, influencers will know what to expect from you upfront. Influencers work with social media status updates, hashtags and internet lingo – they don’t have time for long-form content. Keep your sales pitches simple, to-the-point and most importantly – short. Don’t try to sell your potential influencers “a deal of a lifetime” by sending a multi-page document detailing legalities, long-term plans and your entire product catalogue. Here is an example outreach email (the sender asked for anonymity), that worked perfectly and is so short that I wondered why I sat there and spend hours on crafting a long, detailed template. Depending on the type of products and services you provide digitally, you will easily identify influencers that might want to work with you. These people are already halfway there when it comes to their willingness to work for you. Don’t underestimate them by trying to slip important details into long-form emails and be respectful of their time. Keep your messages short, precise and explain exactly what it is you want from them. Most importantly – communicate the benefits they will have from working with you. Outreaching to influencers that are lacking in certain departments is a great way to create a win-win situation for both your business and their career. Remember all those testers that we used to find in magazines and supermarket aisles? Small samples of new hair products, snacks and other goods served the purpose of introducing a new line of products to an uninitiated audience. You can do the same with your digital products. Provide a free test drive of your products or services to anyone that you may contact in regards to your promotional needs. For example, if you are a design agency, provide them with a discount code for their next purchase. If you are an e-commerce storefront, give them a bonus item for their next purchase. Giving something “for free” without any strings attached always works when it comes to getting on someone’s good side. Influencers are just like any other customer you may encounter online until the moment you hire them to promote you. Make sure to be the one to extend a friendly invitation by opening the negotiation process with a free sample or a gift. It’s far easier to talk terms with someone if they already have a smile on their face thanks to a show of appreciation you provided beforehand. In layman’s terms, influencers are employees just like your in-house staff members. They both work on the basis of professional and personal benefits that you are able to provide. Creating a long-form influencer loyalty program might be a good idea if you want to be forthcoming with your influencers. You should always look for long-term deals when it comes to negotiating with influencers. This creates an opportunity for both sides to promote one another and benefit in the long run. For example, you can set milestones and rewards for reaching each goal for anyone that is about to become your influencer. In doing so, you will transparently and bluntly show everyone what the benefits are for working as an influencer for your brand. While money will always be a viable reward, influencers often look past that and want more concrete rewards. Giving influencers things like free services, exclusive items, spots on your promotional materials or even live online events might just be what they want to hear. These benefits can be neutral for everyone, meaning that the only thing separating person A from person B is their performance. This will give influencers more incentive to jump in and start working for you instead of being apprehensive about it. Sometimes you won’t have to search far and wide to find an influencer or two for your needs. If you think about it carefully, you will definitely remember a colleague, a business or a website you collaborate with that has access to these individuals. Finding influencers through references and common associates’ cuts out most of the outreaching tactics you might need to apply. Imagine looking for new employees and having someone apply thanks to a mutual friend and their recommendation. You will most likely treat this person differently than the rest of the candidates, even if you do it unintentionally. The same logic can be applied to influencer references. Ask your friends, associates and even clients if they know of people that might be influencers with high social media and online followings. Chances are that you won’t have to wait for long before someone knocks on your door. Moreover, check the influencers’ profiles and recommendations, they usually contain the potential followers that are keen on working with the brands they are acquainted with already. It’s a great opportunity to ask an influencer you’ve worked with to recommend your company (what’s most important, it saves a load of time). Oftentimes influencers bite off more than they can chew. This usually ends in poorly thought out campaigns, low ROI or even bad PR results. You can avoid this by simply testing your influencers’ abilities before signing any long-term contracts. Create fictional scenarios in which your influencers have to showcase their ability to control the situation if things escalate with their following. Things such as bad response to your brand and products, poor customer experience that got out of control in public, etc. Situations that require quick thinking and thorough planning are the two aspects you should absolutely screen your future influencers for. Once they have shown that they are capable of handling the tasks you have in store for them, you can commit to more serious projects and goals. Failing to do so beforehand may result in far greater costs for you than you originally anticipated. Implementing influencers into your digital business is a great way to bridge the gap between yourself and your customers. Influencers are usually more in touch with what is popular and trending among social media users than you might be yourself. This gives them unique power to control whether or not people will want to spend their money on your services and products. 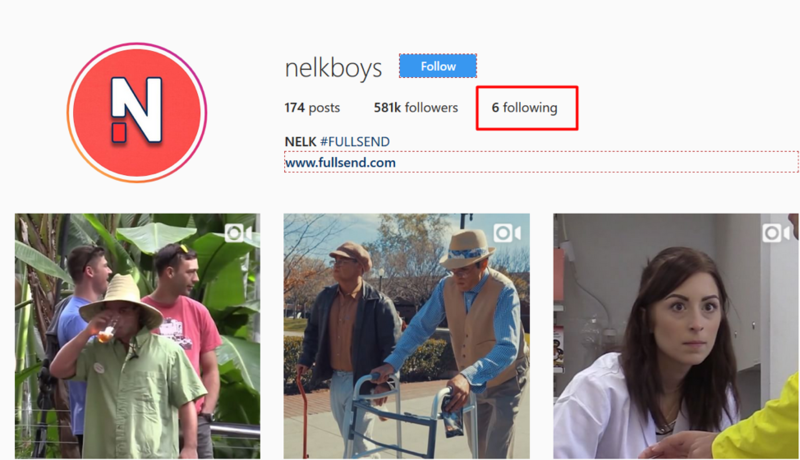 Brands that have successfully utilized influencers in their marketing campaigns have found resounding positive feedback from their customers. Don’t be afraid of dipping your toes into influencer marketing even though you may not have thought about it before. It’s never too late to outreach to a few influential individuals and see if you can find mutual interest in a joint marketing campaign. Chances are that you will find more influencers than you thought you might initially. All that remains is to effectively use their talents in order to steer new audiences towards your digital business.